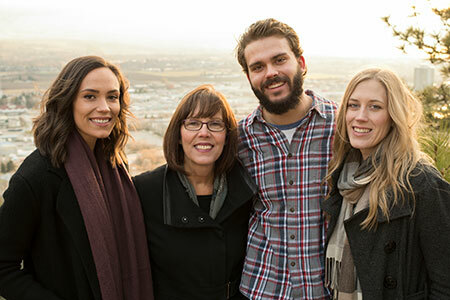 For 37 years, Gail Given has lived and raised her family in the Kelowna area. She is blessed with three wonderful adult children; Brianna, Kaitlynn and Brenndan. Her business, HR and leadership skills were developed through a successful 25-year management career at The Bay. It was through both volunteer work at the schools and her late husband's Council work that Gail was inspired to serve her community in the municipal arena. Click here to read about Gail's vision and why she is a great candidate for the next City Council.